What to make a blog about? Blogging is like a journey. You need to prepare for it before starting. In the previous post, we discussed with you what a blog is and how to make it successful. Before starting a blog, a homework has to be done to put the blog on a successful track. To help you get started, in this post we will let you know what to make a blog about and how to find the niche that fits your purpose. Before you can choose what to make a blog about, you should find out why you want to start a blog. Blogs are basically used to share your knowledge, skills or expertise in a particular niche. You can earn handsome amount of cash as well through advertising on your blog. The only condition is to make your blog a successful one. The first step of doing so is to select a good niche on which you want to blog. There are a number of things you should keep in mind when you choose a niche for your blog. You will find different opinions and perspectives on this subject ib the Internet which will do nothing but make things very complicated for you. Webtexttool is going to present you a simple roadmap to help you select the right niche for your blog. A number of niches are available to write on. A common belief is that the popular niches are best to write on a blog. But that is totally wrong unless you have huge resources to comply with your blog. The reason behind this is that there will be a number of bloggers who will be writing on the same niche. This will result in the visitor being divided onto different blogs. The one who will be having more quality, SEO content and greater frequency will get a larger fraction of visitors. Instead of competing in the intense niche, you should select one which is distinctive from others. By this, you will be the only blogger with that type of content, which for sure means you will be the only one who will get the whole pool of visitors. Even after filtering out distinctive niches, you will be left with multiple ones to write on. Among them, think of that which comes in your interest, instead of filtering further. It is only you who be writing posts for the blog, so, it is important that must be interested in what you write. In this, you will be enthusiastic about your blog which will really help you practically. 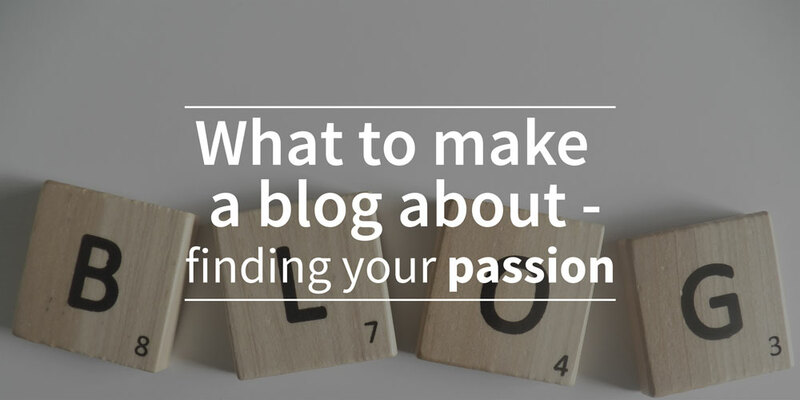 Your passion will shine in your blog. It is obvious that you will be having not one but more than one interest. Now you need to apply the final filter in selecting your niche. It is that you must acknowledge your targeted audience. You need to make sure for who you want to write, what will be needed to appeal them and keep them visiting. Ask yourself who you will convince more easily. The niche which passes through all the filters will be written for you to write on. Luckily, if you still got more than one niche than there is no restriction, you can choose any of them or both of them if you think you can manage. The blog of the CEO of the company is good example business blogging. The CEO can blog about objectives of the company and comments on the performance. General Company blogs are another good example, which is growing day by day. You can also follow these examples of the blogs to know what your blog should contain. Now that you have got a niche to write on, it is time to get started. If you end up in fashion niche, here is the guide to help you through. You could also read the best Whitepapers for SEO.